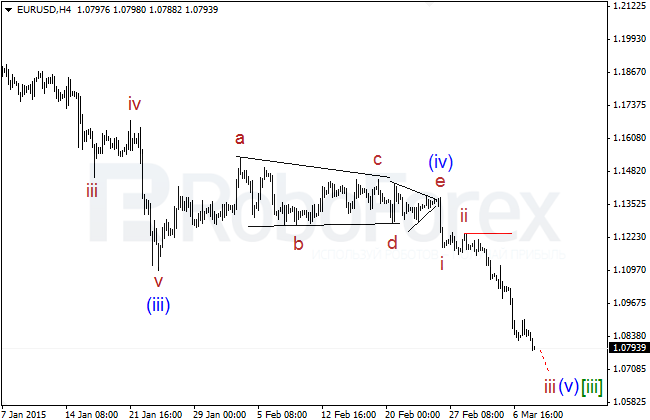 Euro continues reaching new lows inside a large descending impulse (v) of [iii]. Right now, the pair is forming a long extension inside wave iii of (v). 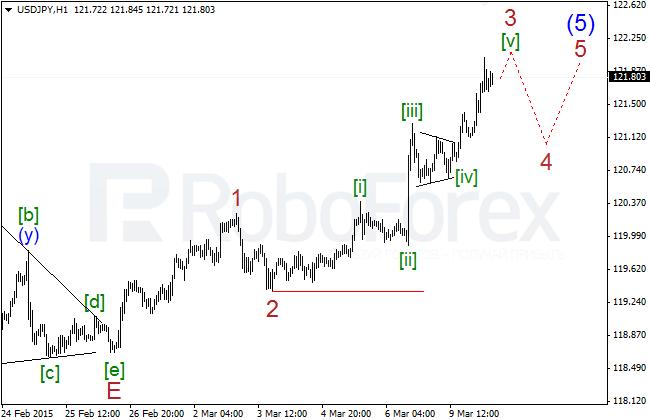 In the nearest future, the market is expected to complete the third wave and start a sideways correction inside wave iv of (v). Probably, the price hasn’t completed wave iii of (v)of [iii] yet. In the future, the market is expected to reach new local minimums. 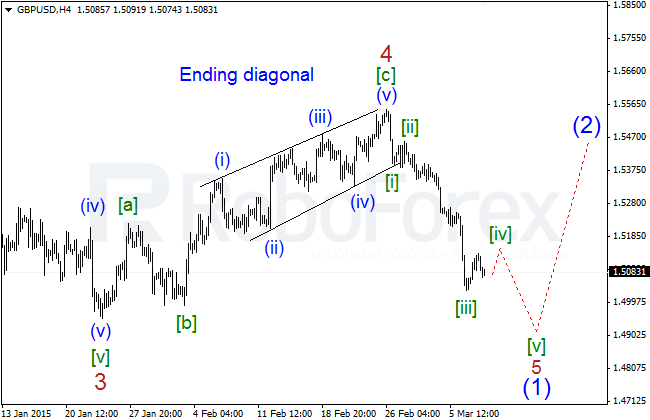 Most likely, Pound has finished wave [iii] of 5 of a large descending impulse 5 of (1). 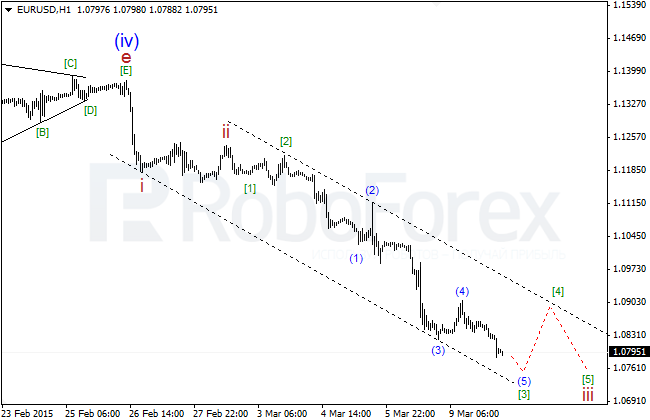 At the moment, the pair is expected to form a local correction, after which the market may continue moving downwards. 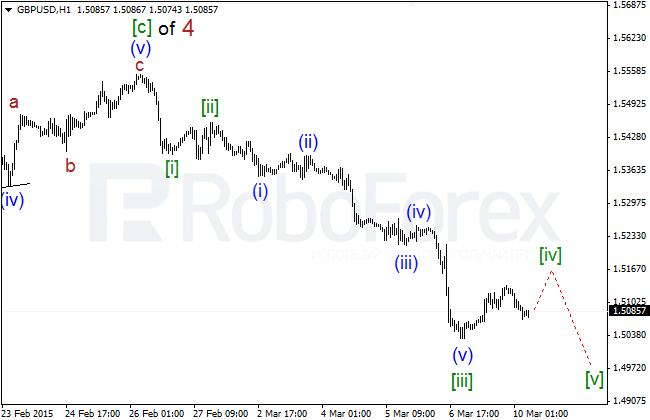 Probably, Pound has completed wave [iii] of 5 of (1) and right now is expected to form a correction inside wave [iv] of 5 of (1). 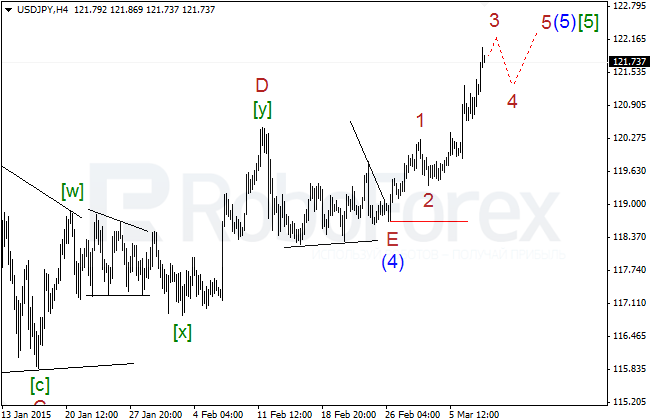 Most likely, the fourth wave will take the form of zigzag. Later, the pair may continue falling. Yen continues growing inside wave 3 of (5) of ; the assumption that the wave is already completed hasn’t been confirmed yet. 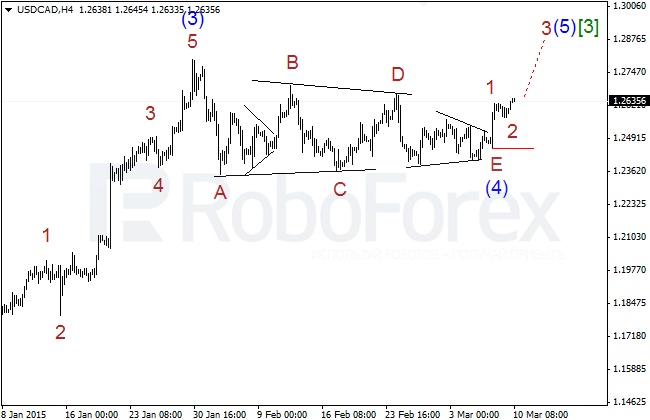 In the nearest future, the price is expected to reach a new local high, finish wave 3 of (5) of , and start a sideways correction inside wave 4 of (5) of . The pair continues reaching new highs inside wave 3 of (5) of . Most likely, the market may reach a new local high in the nearest future and start a horizontal correction inside wave 4 of (5) of . After finishing a correctional zigzag inside wave 2 of (5) of , the price has started growing inside a larger ascending impulse 3 of (5) of . The pair is expected to continue moving upwards. Most likely, the pair has finished its correctional movement inside wave 2 of (5) of . 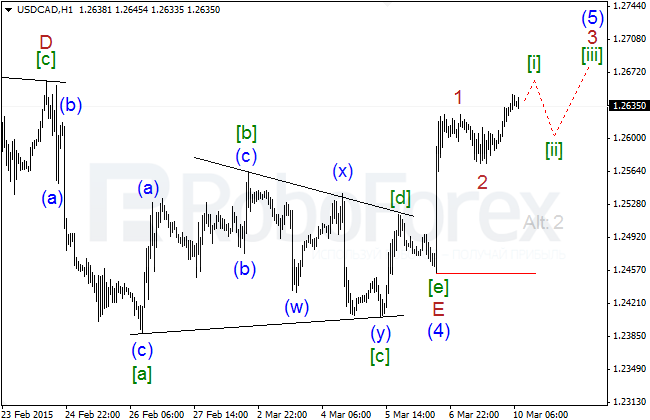 Right now, the price is forming a large ascending wave 3 of (5) of , which may take at least several trading sessions.